WWII: TUSKEGEE AIRMEN, 1945. 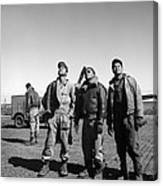 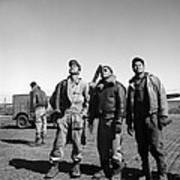 Members of the Tuskegee Airmen ground crew at Ramitelli Airfield in Italy, looking skyward. 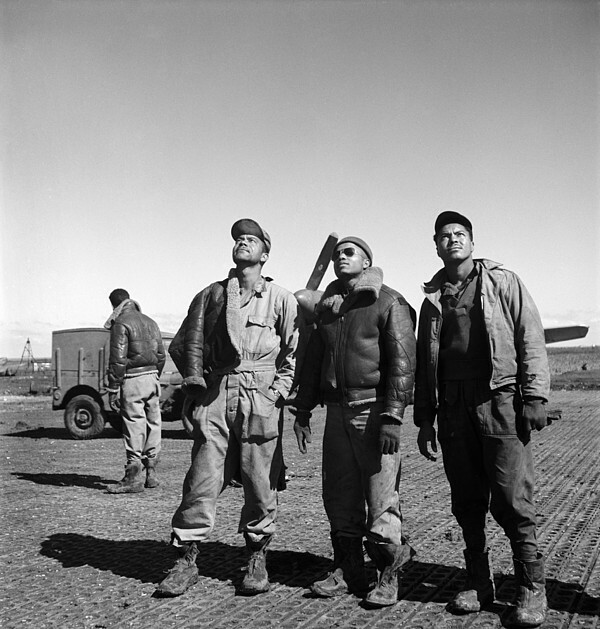 Photograph by Toni Frissell, March 1945.